You can change the controls on the parameters. Put a key you have on the Screenshot option. He means that he does not have the proper keys to log in to the forum from his computer. I was wondering about when i found this planet. Is it possible for life to exist at such low temperature? This is the coldest planet with life i've seen. 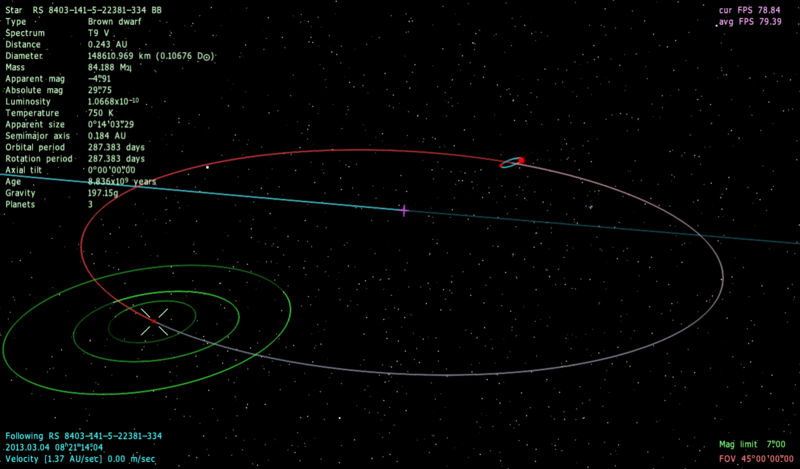 You probably encountered the cold planet with life bug. 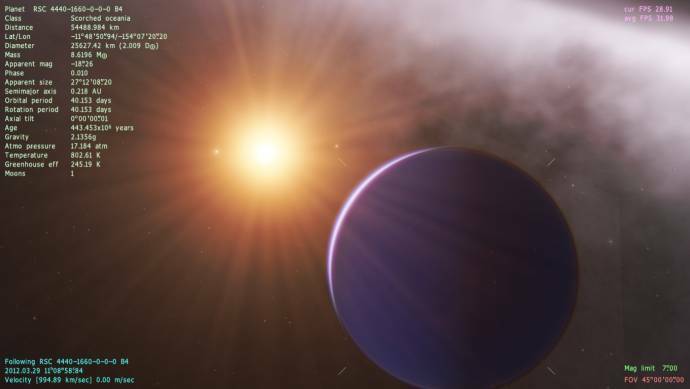 They should not exist, but when the planet goes from cool to cold (or even more possibly) during its orbit, it may still have life. As for reality. I think microscopic life perhaps, I can't read that atm pressure, but with low pressure, water stays liquid with colder temperatures. And the actual truth is we don't know, as we don't know for sure what alien life looks like. Well a Scorched Oceania is pretty rare right my question should this planet even have water at these temperatures. If you search around the forum you'll find that "oceania" does not refer specifically to an ocean world, but rather any world that is composed largely of water and is not an ice world. This can mean a classic ocean planet, or it can mean something else, such as a sub-giant planet composed of 75% H2O in various forms of vapor and exotic ices. The reason it gets confusing is that in engine they're rendered with an ocean surface, which in "reality" they might not have in many cases. 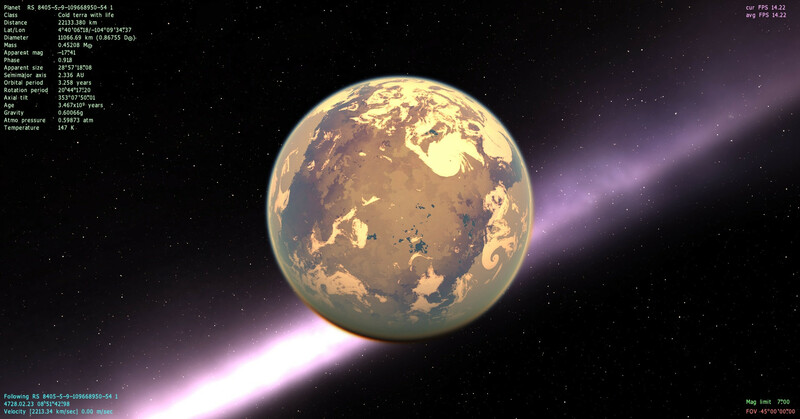 The planet classifications are not perfect and will inevitably be reworked at some point. No it doesn't. You may be thinking of the gas phase. Here's something. Two brown dwarfs of identical mass, so they orbit perfectly in line with one another. 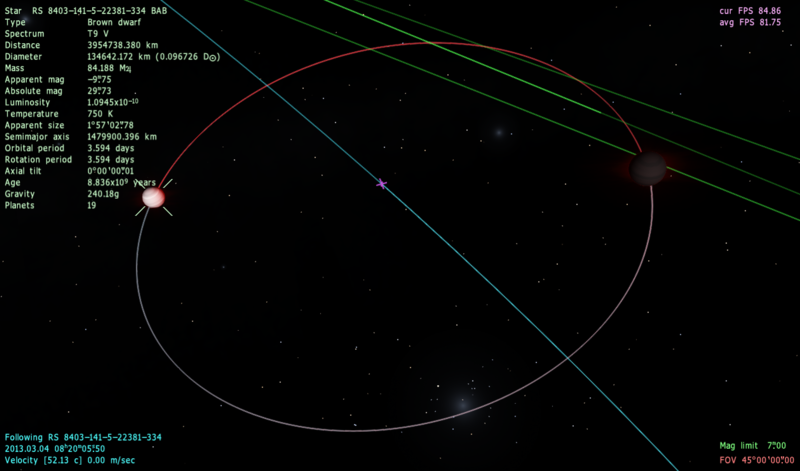 And then they orbit with a third brown dwarf of… yep, identical mass. 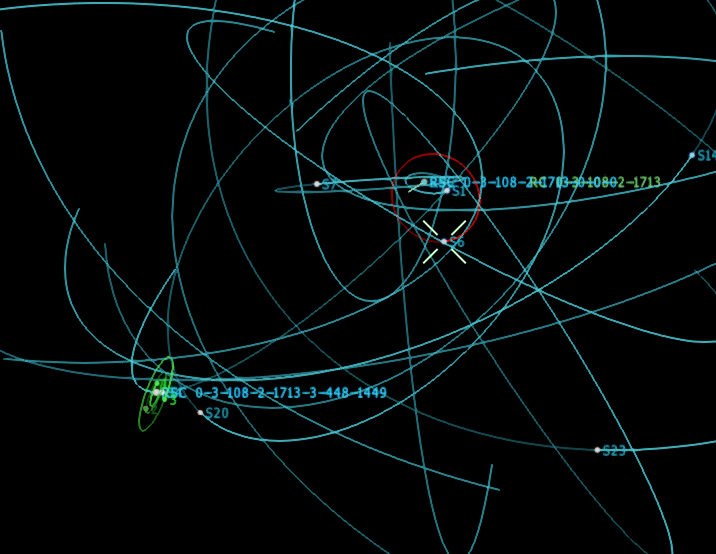 Then these have a barycenter with a yellow dwarf or something; I forget. There's a bug that all brown dwarfes have the same mass. Billy_Mayes, you should report bugs in the bug reports thread. Also, this has already been discussed many times and yes it is going to be fixed in the next version. I don't think he was complaining about the bug, he was just letting Tallest_Skil know that his supposed anomaly was actually a bug, and that it will be fixed in 0.97. 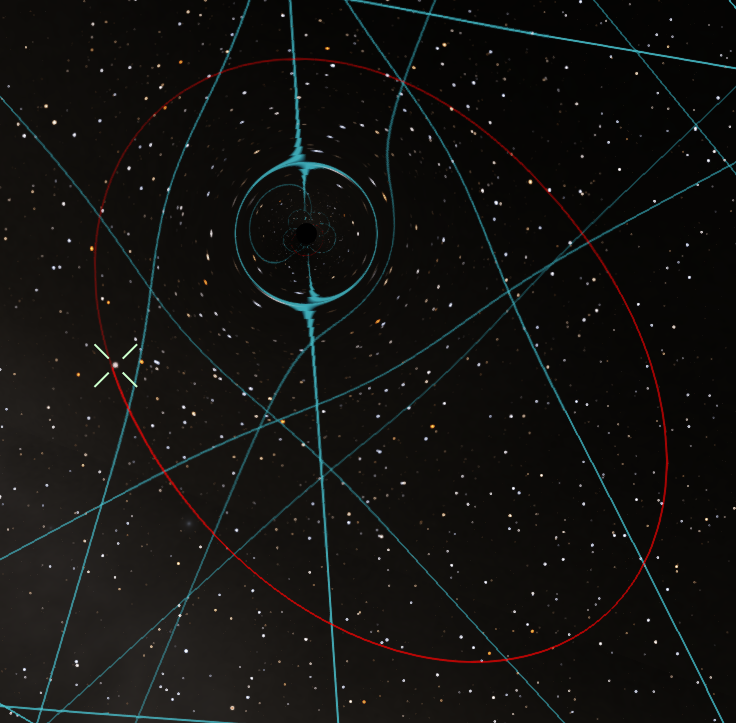 Place	"Tidally locked planet with life"
Tidally locked planets with life are actually fairly common in SE. Especially if you look around red dwarf stars, since the habitable zone is much closer to the star and tidal friction is more effective.